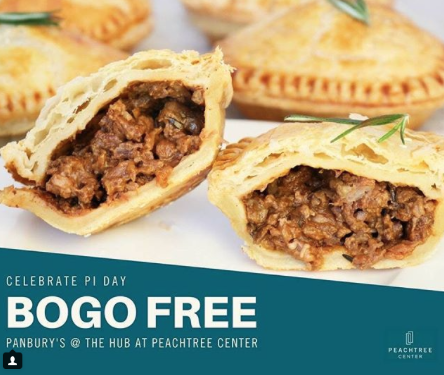 It’s Pi Day, and we’re lucky to have the best pies in Atlanta at The Hub at Peachtree Center! Head to Panbury’s on March 14 for buy one get one FREE savory hand pies. *Limit one BOGO deal per customer.